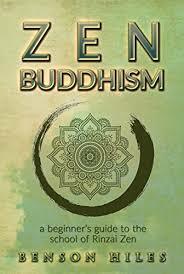 Rinzai Zen research papers discuss Buddhist teachings on Zen and enlightenment. The Rinzai school of Zen Buddhism was founded by Rinzai Gigen, who's death was recorded on January 10, 866 A.D. “As all the great Zen masters, he was firmly based on the Buddhist teachings, conversant with the scriptures, and freely quoting them. But rather than lip-service and routine learning, he demands genuine insight into the scriptures, and a life lived out of this insight”. The Record of Rinzai was complied by his students from his teachings and episodes in his life, and has become one of the main texts in the School of Rinzai Zen. Rinzai Zen devotes a great deal of attention to “breaking down the intellectual attempt at appropriating truth through words and concepts, crushing the illusory ego and its grasping, and collapsing the separations of the subject/object split”. Rinzai Zen attempts to destroy false ways of thinking that comprise the ordinary ways of consciousness, and bring about a revolutionary change in a person’s consciousness whereby one “is able to see immediately and clearly out of the purity of one’s true self”. It is almost ironic that Rinzai Zen is the more well-known in the West, since it is the smaller of the two sects in Japan. In modern Japan, it is said that there are about 21,000 active Zen temples. 15,000 of these belong to the seven branches of the Soto school, 6,000 belong to the 15 branches of Rinzai, with a few belonging to the Obaku school. Most of these monasteries are quite small, usually run by a Zen priest, along with his wife and family (celibacy is optional for Zen priests, and has been since the Meji Period), with two or three novices. One of the aims of Rinzai Zen is to precipitate “an ecstatic experience of enlightenment through such devices as unrelenting concentration on one’s own koan and frequent dokusna (interview) sessions with the master”. The Record of Rinzai is replete with such dokusna, as has been previously illustrated. Soto Zen, in contrast, stresses enlightenment at the center of the individual’s life. Paper Masters writes custom research papers on Rinzai Zen and discuss Buddhist teachings on Zen and enlightenment.